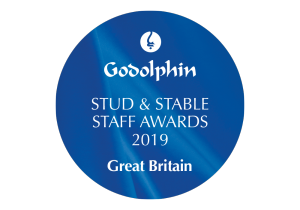 Nominations are officially open as of today, Wednesday, 5 September, 2018, for the 2019 UK Godolphin Stud and Stable Staff Awards. The awards, now in their 15th year, recognise and reward the outstanding skills, commitment and contribution of over 10,000 stud and stable staff in the UK. Sponsored by Godolphin and run by the British Horseracing Authority (BHA) in association with the Racing Post, the awards provide total prize money of £120,000, with up to £40,000 available to a single yard or stud. A purely online application process will result in it being more efficient and streamlined, as well as making the process more convenient and easier to manage for nominators. Video submissions will also be accepted for the first time in advance of the 2019 awards, ensuring that the nominations procedure is as fair as possible for all those involved, irrespective of their level of written communication and language skills. As well as recognising and rewarding stud and stable staff, the awards are an advertisement for racing as a great place to work and an industry that looks after its horses and its people. The ‘Rory MacDonald Community Award’ recognises those connected with the industry who contribute to benefit the wider community. Nick Rust, Chief Executive of the BHA, said: “People who work at yards and studs up and down the country do so much work behind the scenes to provide exceptional care for our horses and keep the racing and breeding industries running. The winner of the David Nicholson Newcomer Award will once again benefit from a five-day educational trip to Dubai to learn more about the country’s racing, culture and custom. The prize includes return flights and five nights’ accommodation in a luxury hotel and is in addition to the £2,000 prize money for the winner and £2,000 for their yard, courtesy of Godolphin. Nominations are now open for owners, trainers, breeders, colleagues and managers to show their appreciation for hard-working members of staff by nominating online here.